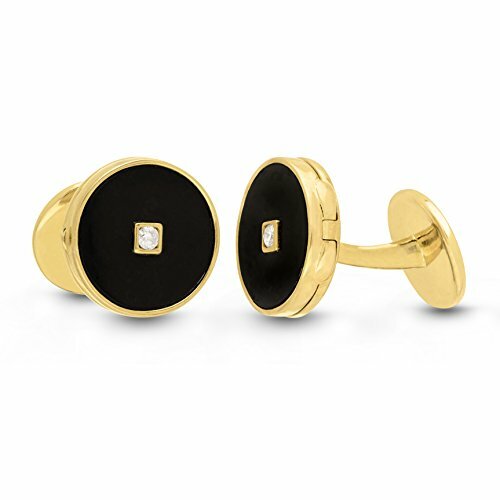 The Ryan custom photo locket cufflinks are sleek with black onyx and studded with bright white topaz. These cufflinks, that come in 925 sterling silver and 14K gold plated silver will turn heads. With personalized photos inside hey are truly extraordinary. There are some people who just make the workplace better. Ryan is one of those people. His dedication to With You is a huge part of what makes it fun and important every day. Naming these cufflinks after him means he will always be a part of this company no matter what. Available in Sterling Silver or 14K Gold Plated sterling silver, with Black Onyx and White Topaz. Includes one set of custom photo locket cufflinks. Each cufflink holds one photo and measures 3/4'" round. We put your picture in it! These unique custom photo locket cufflinks are the perfect gift. Use your favorite picture to personalize your jewelry for any occasion. These antique photo lockets are an inspiration in a way that feels both modern and vintage. This collection of pretty lockets captures all the fine details and workmanship of a family heirloom in contemporary shapes and sizes. With You Lockets is a line of necklaces, pendants, bracelets, anklets, rings, bangles, brooches, bouquet pins, dog tags, heart lockets and glass lockets all with a place to insert a special photo. Our keepsake lockets are comprised of 925 sterling silver, 14k yellow gold and 14k rose gold that hold photos. Produced with love and great care they are the perfect gift for celebrations, anniversaries, brides, bridesmaids, weddings, milestones, celebrations of life, memorials, bereavement, births, graduations, Mother's Day, valentine's day and Christmas. Like the memory and love they honor, they are something to be cherished.